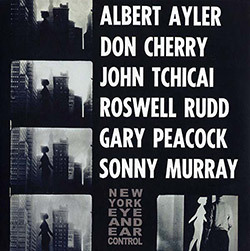 Tenor saxophonist Albert Ayler leads the New York free improvising sextet of trumpeter Don Cherry, alto saxophonist John Tchicai, trombonist Roswell Rudd, bassist Gary Peacock and drummer Sunny Murray through two extended jams, which were used as the soundtrack for director Michael Snow's short film "New York Eye and Ear Control". 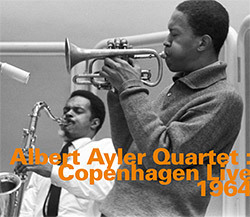 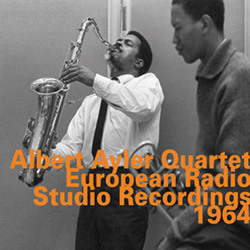 In 1964 Albert Ayler's approach to free improvisation had found its voice, in a quartet supported by the now-legendary players Don Cherry on cornet, Gary Peacock on doublebass, and Sunny Murray on drums, heard live in a well-recorded concert at Club Montmarte, in Copenhagen, Denmark in 1964; ferocious and forward thinking, an astonishing concert! 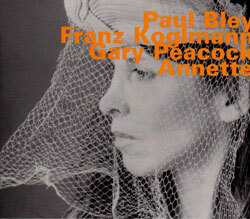 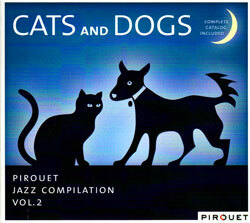 A great introduction to the German Pirouet label's recent releases, with tracks from Gary Peacock, Dave Liebman, John Abercrombie, Chris Speed, Marc Copland, Domenic Landolf, &c. &c.
The trio of bassist Gary Peacock, pianist Paul Bley, and trumpeter Franz Koglmann interpret and improvise on the music of avant song-writer Annette Peacock.